A short Staffordshire walk exploring the villages of Outwoods, Bromstead Common and Beffcote which lie to the west of Gnosall. 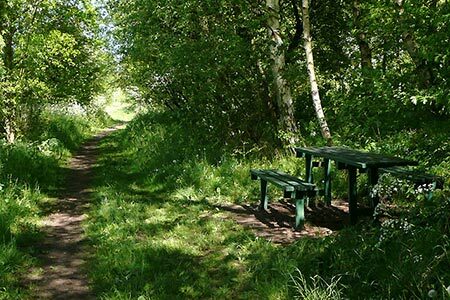 In addition the route includes a section of the Way for the Millennium along the disused railway line between Stafford and Newport. A GPX File is available for download (see walk description).